Yes, I know a lot of people will say things like ‘You say that now…’ but you’re going to have to either believe me or not, I guess. It is true however that Louis van Gaal’s goalkeeper substitution shenanigans in the World Cup quarter final over the weekend brought back memories of another penalty shoot-out some twenty-four years ago, and an outlandish suggestion I made at the time. The Germans had taken a lead when an Andreas Brehme free kick was deflected, and cruelly looped over a stranded Peter Shilton to dampen all England fans’ hopes. Then, Gary Lineker slotted an equaliser to renew belief. Extra-time was almost played out, and a penalty shoot-out was looming to decide who would qualify for the final. At the time, on the England bench was a certain Dave Beasant. The mop-haired ‘keeper had saved a John Aldridge penalty in the FA Cup final a couple for years previously to ensure Wimbledon won the trophy, and I remember saying to the wife that Sir Bobby Robson – just plain Bobby in those days – should take Shilton off and put Beasant on just before the end as it may confuse the Germans. Understandably receiving a fairly askance look in reply, I didn’t pursue my thoughts. 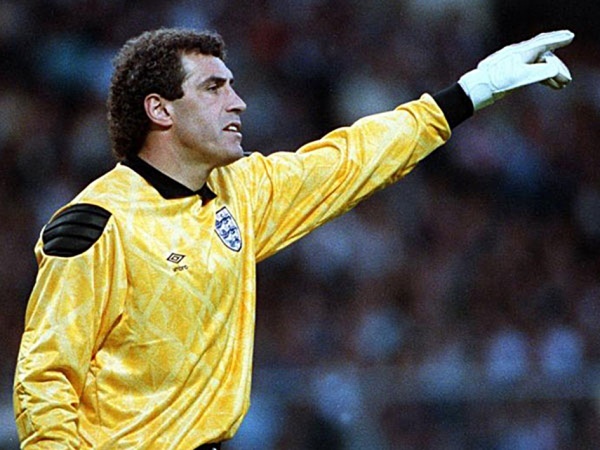 After all, the man between the sticks was Peter Shilton. ‘Shilts’ was one of the best ‘keepers in the world, would go on to become hold the record for most England caps, and Beasant was this big lumbering bloke who’d secured both of his caps in a couple of friendlies the year before. At the time, however, he was playing for Chelsea, and I suppose that may have clouded my judgement somewhat. In fairness however, I did genuinely think that in this sort of situation, the goalkeeper’s ability is probably less important than the mind-set of the kicker. If the ball was hit with power and accuracy, it really didn’t matter who was between the sticks, as it was probably a goal anyway. Put a little doubt in their minds I thought, just to tip the balance a bit. 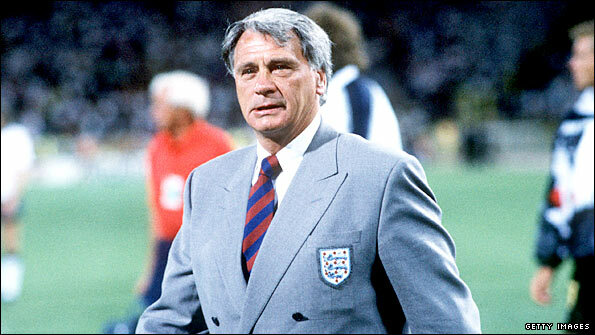 Needless to say, Sir Bobby didn’t and England were out. Of course, I can’t claim that if the change had been made it would make any kind of difference. Germans and winning penalty shoot-outs, eh? It just seem a bit like night and day. One seamlessly follows the other. Fast-forward to this weekend however, and van Gall played his card. Now, I don’t know how the Dutch manager rates Ajax’s Jasper Cillessen, as a ‘keeper, or whether he worries too much how the change may have affected Cillesen’s confidence. If the rumours about van Gaal are even vaguely true, he probably wouldn’t be overly bothered, I guess. 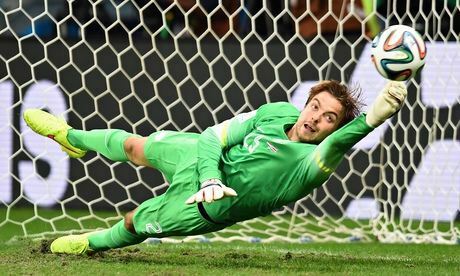 Did he sincerely think that Tim Krul was a better option to save a penalty or two? Well, if his recent record is anything to go by, maybe not. Of the last 20 spot-kicks Krul has faced, 18 have found the back of the net. So, when facing five, a record of stopping one in ten is hardly inspiring is it? 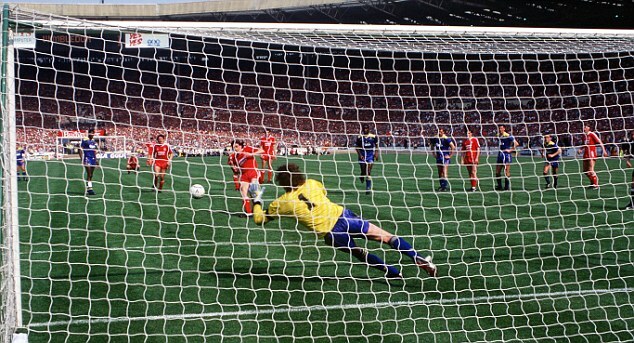 It’s a myth that Bobby Robson could have put Dave Beasant on for the shootout. In 1990, you could only name five subs from your squad. Robson picked Chris Woods, Tony Dorigo, Steve McMahon, Trevor Steven and Steve Bull. Hi mate. Thanks for your reply. To be honest, I can’t say that you’re assertion is invalid with any great confidence, although as mentioned in the article, that certainly isn’t my memory of the game. I have done further research on this now, and can’t find any information that confirms that Sir Bobby could not have used Beasant. I did come across a Q&A with Robson from 442 magazine dating back a few years where he relates that he had contemplated making the switch. Thanks for sending this across. As mentioned above, my memory of this was different, but if the image in the article is pukka, and there’s no reason to assume it isn’t, it appears that you were correct, so thanks for that. It does raise a query as to why Sir Bobby spoke as he did in tne article I mention in my earlier reply. I guess 25 years ago is a long time for anybody to remember. Thanks for your continuing interest. As I always say, football is all about opinions, it’s good to hear from you and thanks for reading.